Need to put a propeller on an existing cap? 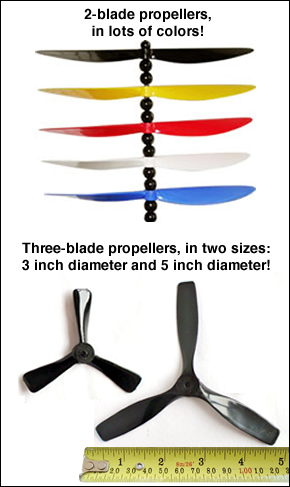 Order one of our propeller kits! Add a propeller or multiple propellers to almost any cap or hat. Our kit includes propeller, beads, mounting wire, mounting base, and instructions. Only $7.50, and just $4.99 for extra props. I want a white propeller! I want a black propeller! I want a red propeller! I want a blue propeller! I want a yellow propeller! I want a black 3 inch three-blade propeller!! I want a black 5 inch three-blade propeller! Note: For best results, you'll need a pair of pliers to twist the wire. 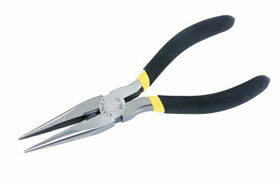 Longnose pliers like the kind shown below work best.